EDGEWATER — One of the last vestiges of the borough’s industrial past, the Hess tank farm on River Road, will disappear by the end of the year as the company sells off its 19-acre property and leaves the site open for redevelopment. 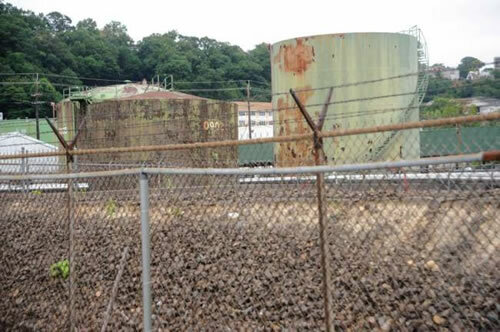 Prep work began this month for removing the green and white oil tanks that have stood at 615 River Road since the 1960s and demolition is expected to start “any day now,” said Borough Administrator Greg Franz. 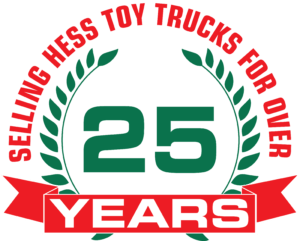 The Hess Corporation, which announced it would exit the retail end of the oil business in 2013 and ceased using its Edgewater terminal last June, is in the process of closing a sale on the property. The oil tanks on River Road will soon be gone after the Hess Corporation sold the property in August. A spokesperson for the company declined to disclose the buyer; Franz said it was a New York-based development company. Hess is also in negotiations to sell two other tank sites in North Jersey: two parcels in Bogota and two more in Secaucus. Edgewater’s waterfront property is considered a premium location for redevelopment. Borough officials met with the environmental company hired to remove the oil tanks in late August and are satisfied the demolition work will be conducted according to the strictest safety standards, according to Franz. When the time comes for developing the property, developers could be required to clean up the site before building but the likelihood of severe contamination is minimal, he said. The Hess facility was built with concrete walls and various retaining mechanisms in case of oil spills. “I’m sure there’s some remediation needed but I don’t think it’s anything substantial,” said Franz.